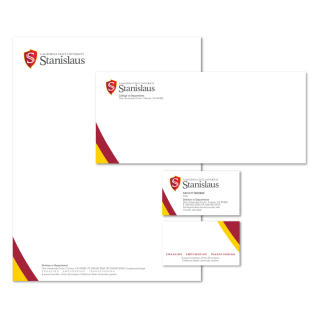 The University business system includes our letterhead, envelopes and business cards. You have the option to use the formal name or the informal name on each of these pieces. 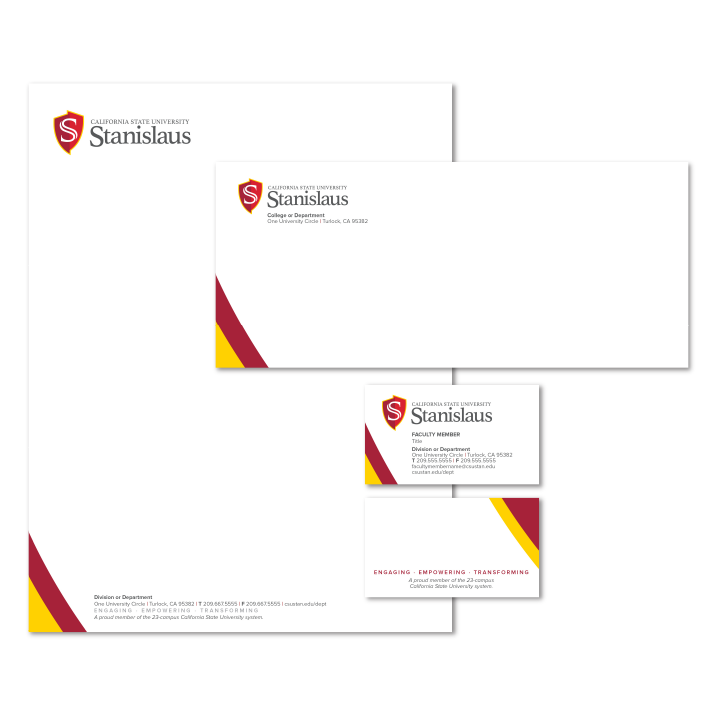 Please order these items from Stan Prints. 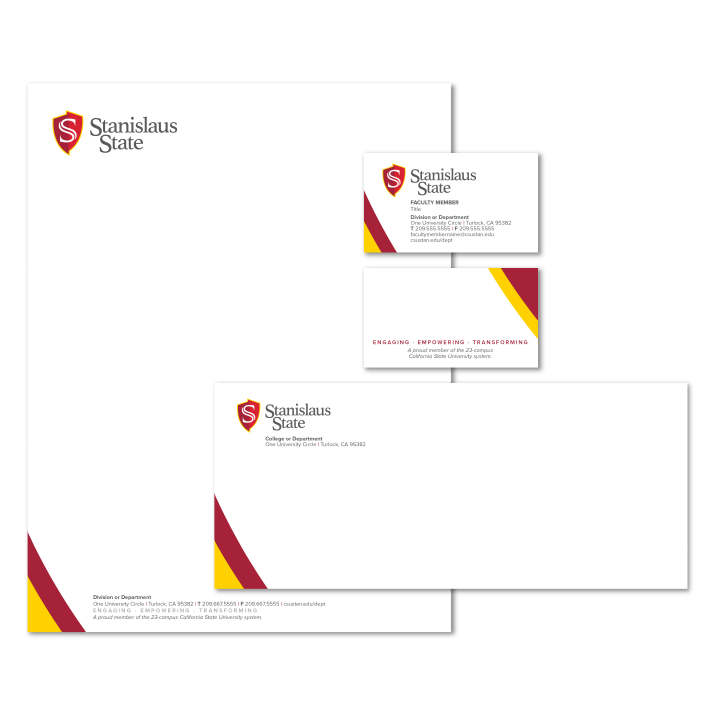 If you have questions about utilizing the items in the business system, please feel free to contact the Office of Communications and Public Affairs at (209) 664-6780 or cpa@csustan.edu. 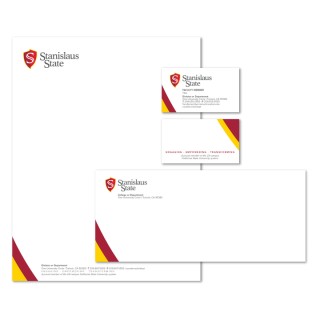 If you have questions about placing a print order, or need to check the status of an existing order, please contact the Stan Prints at (209) 667-3013 or reprographics@csustan.edu.